This exquisitely detailed micromosaic depicts the Pope and four cardinals set against a striking backdrop of a view above the sunlit city of Rome. 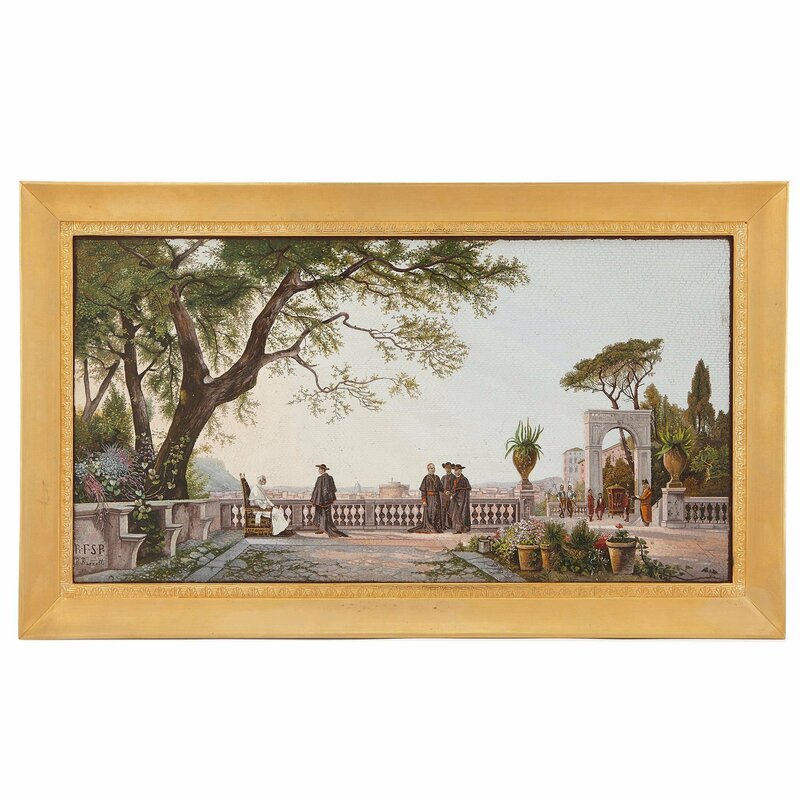 This large, finely rendered micro mosaic is of rectangular form, and is set within an ormolu frame that features an interior border decorated with foliate patterns. 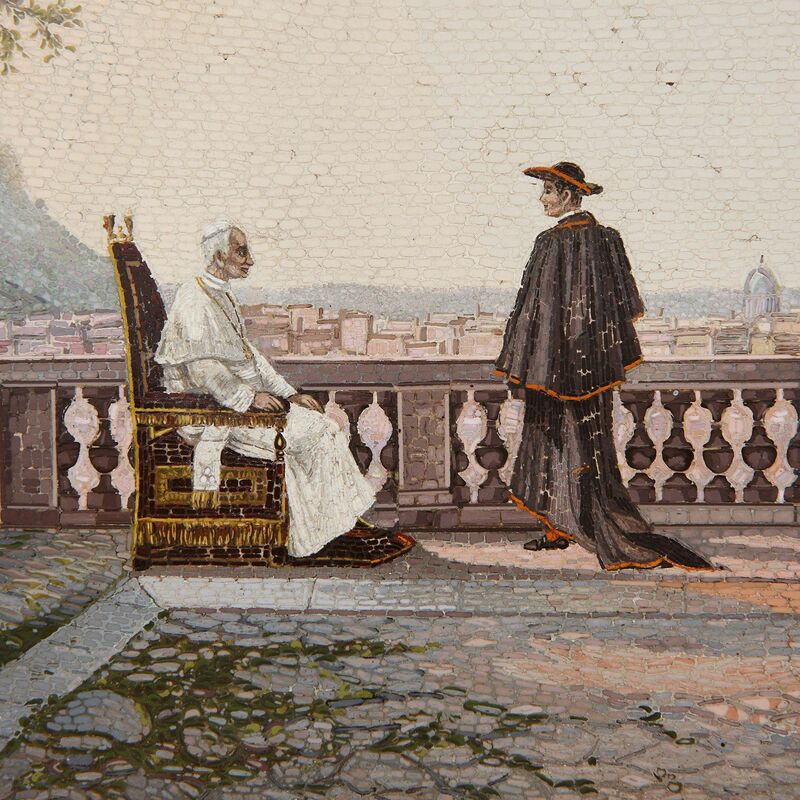 The micromosaic is masterfully crafted from thousands of minute tesserae, which depict the Catholic Pope Leo XIII (in office between 1878-1903) seated with four standing Cardinals, who are identifiable as Rampolla, Parochi, Bonaparte and Sacconi. 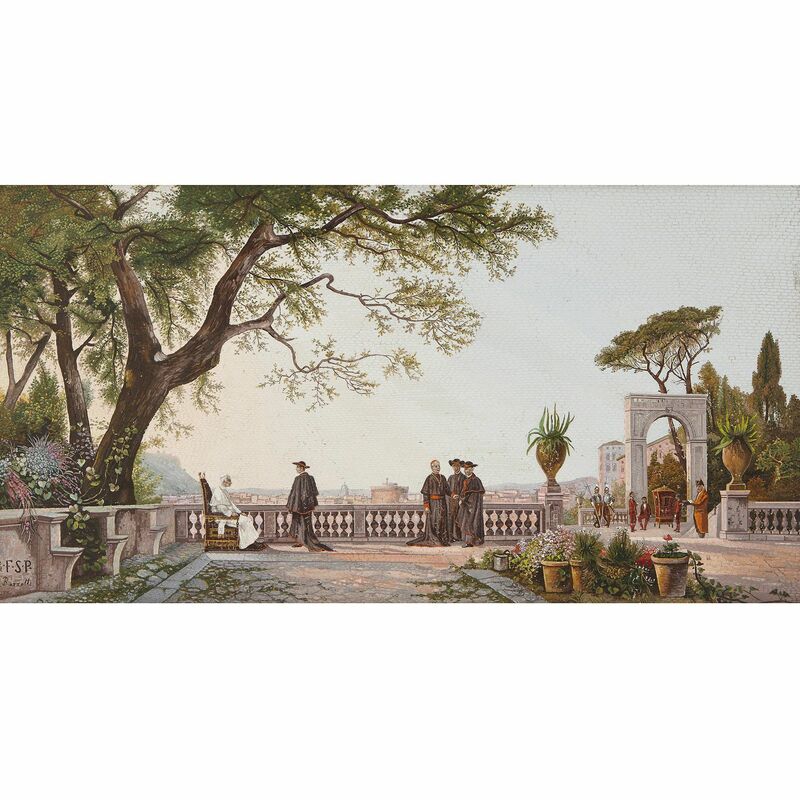 The image comes from a painting by the Italian painter Hermann David Salomon Corrodi (1844-1905). 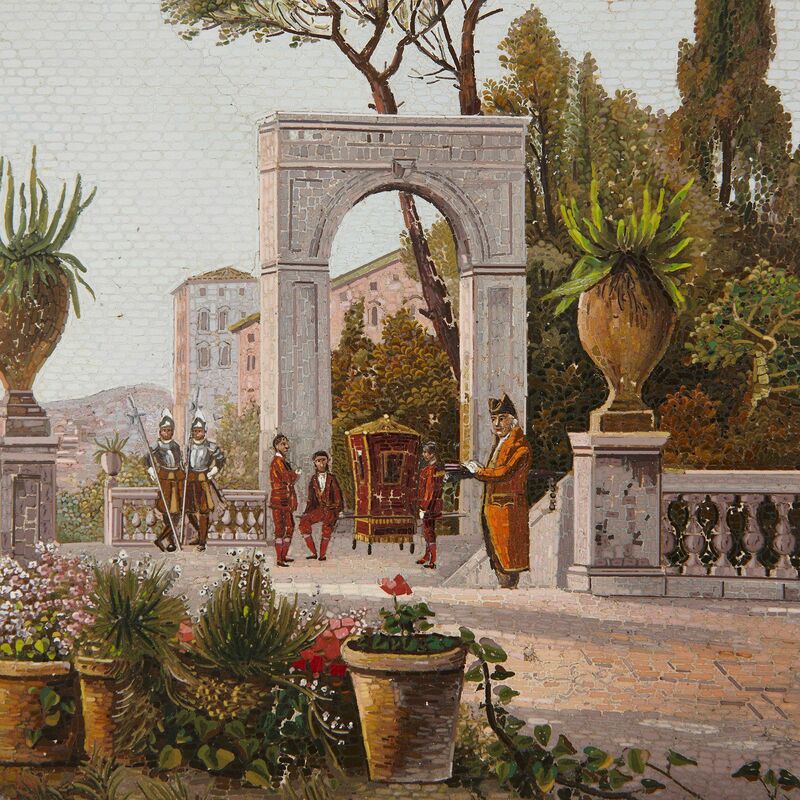 Six further figures in traditional dress, including members of the famous Swiss Guard, surround the scene, which is set in a hilltop courtyard adorned with potted flowers, plants and trees. A view above the city of Rome, basking in warm sunlight, is visible beyond the courtyard, where the central dome of St. Peter's is just visible beyond the Coloseum. 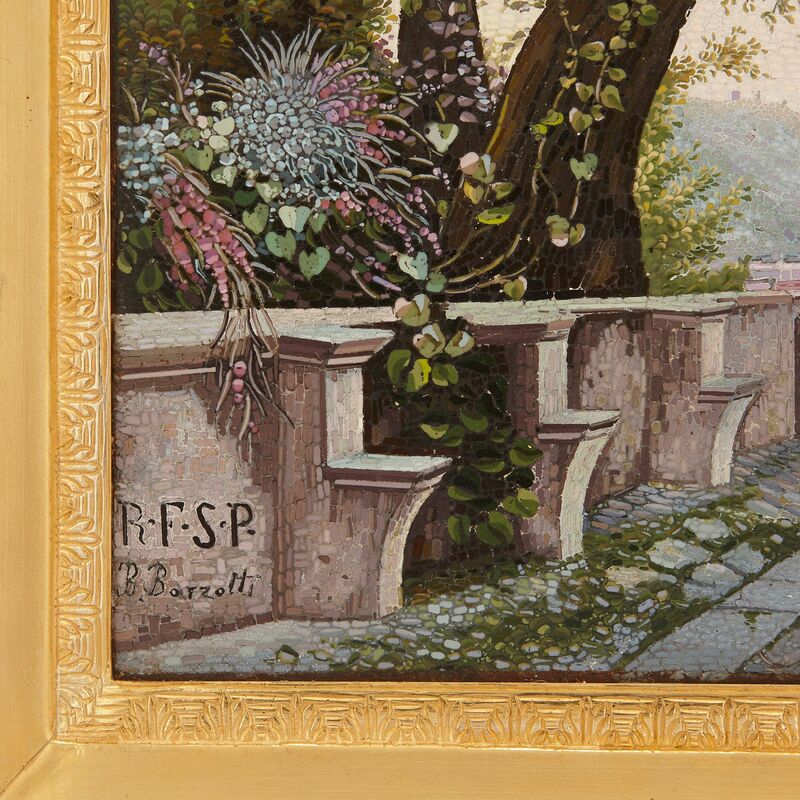 The micromosaic is signed to the lower left 'R.F.S.P. / B. Barzotti' by Biagio Barzotti (Italian, active late 19th Century). The 'R.F.S.P.' in the signature stands for 'Reverenda Fabbrica di San Pietro' , which was the Reverend Workshop of St. Peter's. 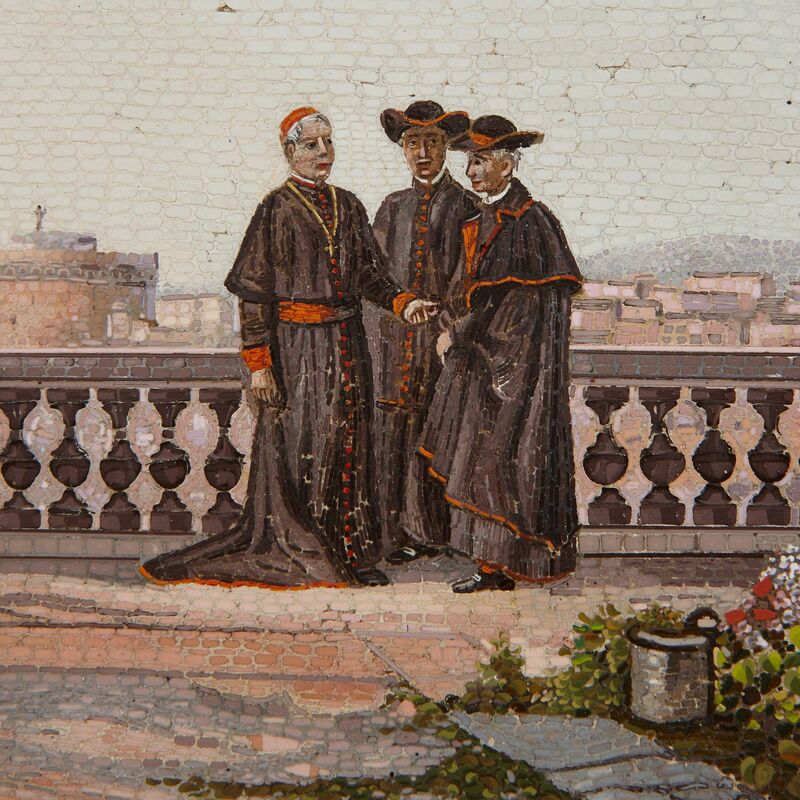 Barzotti was a celebrated mosaicist for Pope Leo XIII who worked from his studio at 57 via del Babuino, Rome. His works, which are exceptionally detailed and masterfully crafted, can be found in the collection of the Victoria & Albert Museum, London.